The aim of the study was to compare the Quality of Life (QoL) of Sardinian immigrants to Argentina with Sardinians residing in Sardinia. The hypothesis was that a different availability of effective treatments for mood disorders may impact the well being of persons with these disorders. One out of five families of Sardinian origin was randomly selected. An Italian study (including Sardinia) was adopted as the control. 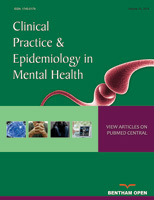 The Mood Disorder Questionnaire was used for screening mania/hypomania; the diagnosis of Current Major Depressive Disorder was conducted by means of the Patient Health Questionnaire in immigrants and by means of a clinical interview in the control study and in an immigrant subsample (to verify comparability); the Short-Form Health Survey-12 was applied to measure QoL. The Sardinian immigrants showed a higher QoL than Italians in Italy (but not with Sardinians residing in Sardinia). On the contrary, the attributable burden worsening QoL due to lifetime manic/hypomanic episodes, as well as to current depressive episodes, was found higher among Sardinian immigrants with respect to both Sardinian residents in Sardinia and the total Italian sample. The use of effective treatment for mood disorder was higher in Italy. The study found that in a sample of Sardinian immigrants in Buenos Aires the impact of a mood disorder affects QoL more incisively than in Sardinians residing in Sardinia. The suggested hypothesis of a possible role of beliefs guiding the search for treatments will be verified in future studies. Keywords: Community survey, Immigration, Mood disorders, Major depressive disorder, Quality of life, Treatment.